Lady Fairplay, "Goddess of Chastisement," is the only true powered hero of the city. Given "unlimited energetic powers" via an experiments conducted of Forest City's scientists (these may or may not be related to the Tunguska event). Lady Fairplay is most likely going to be a PL 8 paragon in the vein of golden age Superman. 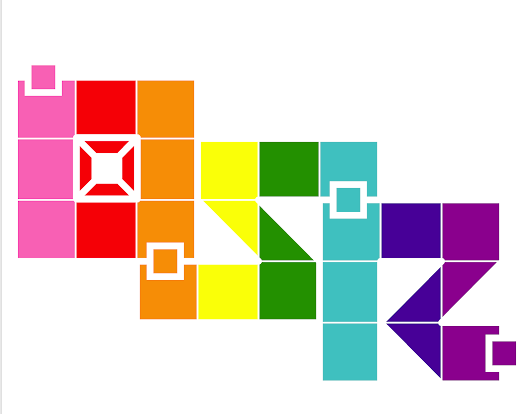 I'm keeping the teacher alter-ego aspect for my version of Lady Fairplay, but I'm going to change the character's sexual orientation for Forest City. 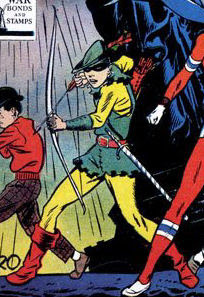 Young Robin Hood is essentially going to be the Hawkeye/Green Arrow of my setting. His origin will be similar to that listed on the Public Domain Super Hero wiki, other than being a resident of Forest City, rather than NYC. He'll be inspiration for other young heroes. Being wealthy, he could easily be a benefactor to other heroes. As a side note, I've decided that he is the father of Fatman the Human Flying Saucer, a hero that I'm excited to use later on in the setting (though codename will definitely be changed). Stats-wise, I think he's a PL 4. Micro-Face, is a gadgeteer. His primary gadget is the Micro-Mask, a full face mask which allowed him to amplify and throw off his voice, superior hearing, and x-ray vision. It had telephone wires that he could attached to lines to make phone calls. Cleveland has a large African-American population and unfortunately, golden age representations of African-Americans typically weren't the most positive. For that reason, I've decided to change Micro-Face's ethnicity. 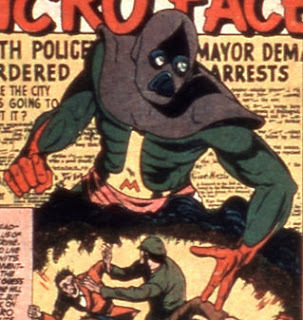 I believe race will factor into why the U.S. government turned down the Micro-Mask in the first place. Micro-Face will be a solid PL 6, which is what I'm thinking the standard golden age Forest City game will be. We prefer the "Villains". A cool post, good Sir. I love a "good" villain too, but I'm always more the heroic type. A lot of win in this post. Perhaps most importantly: "I think most published super settings (especially city books) have too many heroes." Yes! As I like to say, when the Fantastic Four appear, they should be truly fantastic, not just another group like the family next door. Micro-Face looks badass. The world needs more Micro-Face.